The victory over Hull on Saturday marked the collection of 5,000 points in the league, and Everton became the first club to do so. What a feat! But for a club in existence since 1875, and as one of the longest surviving club in the top tier of the league in England, it is hardly surprising that Everton have achieved that. The win over Hull was, with due respect to Hull fans, a win that was expected of Everton. To ensure the Toffees stayed at the top half of the league, it is games against the newly-promoted teams that they have to collect the highest possible points. Since that unfortunate defeat to Villa at home, Everton have galvanised themselves and won five of their last six games, without conceding a goal. Villa were thoroughly outplayed in that game, but alas, football is about scoring more goals than the other team, not about keeping longer ball possession. Back to the Hull game, Everton were as usual, steady and strong again. Starting again without a recognised striker, Everton basically overwhelmed Hull with their powerful midfield and eventually got the necessary goals to win. The first goal saw Marouane Fellaini coming from an offside position to head the ball in, and David Moyes, unlike most managers in the league, actually conceded the goal should have been disallowed. Instead of calling other clubs a smaller club or preparing a list of complaints about other managers, Moyes had done the gentlemanly thing to offer solace to Phil Brown about that first goal. But, come what may, the win was an appropriate result. Hull could not create many chances, and Everton on that day were the better team. Mikel Arteta’s goal in his 150th game for Everton was the icing on the cake for him. 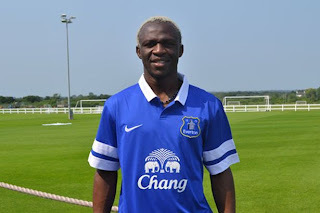 He has been a wonderful player to watch and Everton’s top 10 position is largely due to players like him. Hopefully, he will score a few more goals. With 5,000 points collected thus far, it is hoped Everton will collect not just another 5,000 points but perhaps some trophies too.